When did the kids arrive home from school? Was the store opened on time? When did the store get closed? 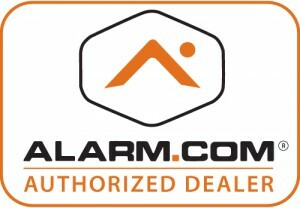 These are just three of the most important features provided by Alarm.com through Price’s Alarms. Some of the other great features include the ability to control lighting, locks and thermostats through the addition of devices that tie in directly to the security system. To get all of the details and find the right package for you, please contact us to arrange a no-charge visit from one of our licensed security advisors to perform your security evaluation. We’ll present you with the best alternatives for staying in touch and protecting everything that matters most in life. Rest assured, even if we load your home with security levels that seem to be protecting Fort Knox, your monthly fee will still be less than the price you pay monthly for smart phone service. We think it is the best investment you can make to protect everything that matters most. Whether you are looking for the latest in security systems in Victoria, Duncan, Nanaimo, Courtenay, Campbell River, Vancouver, Abbotsford, Kelowna, Vernon, Penticton or Edmonton, Price’s Alarms is the right company to call for your custom home security package.